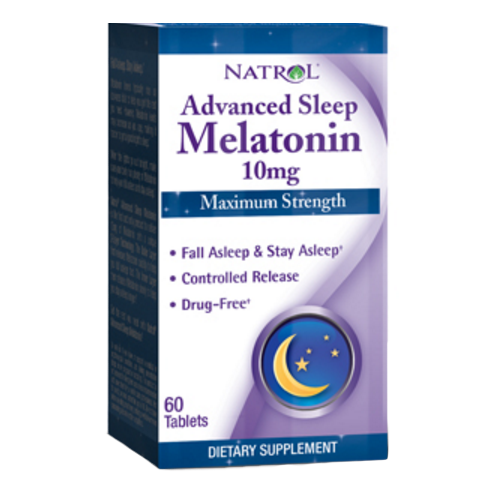 Natrol Advanced Sleep Melatonin is a maximum strength sleeping aide. A good night's sleep can help restore your body, promote a healthy immune system and may help you maintain a healthy body weight. Not only does Melatonin help you sleep, it has also been shown to reduce anxiety. It does this by affecting neurotransmitters in the brain that are involved in relaxation and sleep. Health experts report that sleep is more than merely "down time" when the brain shuts off and the body rests. Adequate sleep is essential to overall health and performance and plays a role in the ability to learn, create memories, solve problems and maintain a healthy mental outlook. By contrast, researchers have found that lack of sleep can result in mood swings and an inability to focus and respond quickly. 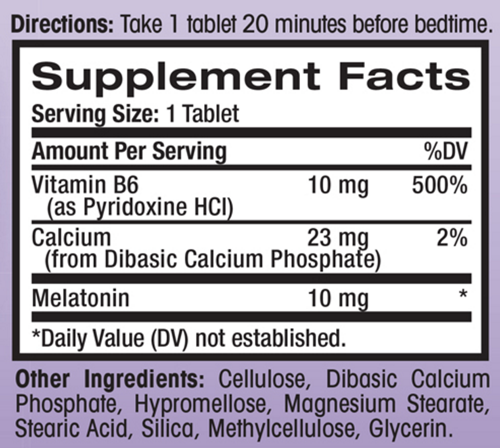 Melatonin levels typically rise as darkness falls to help you get the rest you need. However, Melatonin levels may decrease as you age, making it harder to get a good night's sleep. Natrol Advanced Sleep Melatonin Product Number: 611293. Artificial colors and flavor free.